My son was charged with Minor in Consumption-Minor in Possession, what does this mean? What is going to happen to him? A minor (in alcohol related offenses, a person under the age of 21, the legal drinking age) can be charged with a Minor in Consumption charge for simply consuming an alcoholic beverage. An officer does not have to actually see him drink the alcoholic beverage but may make the determination to charge him with the offense if he smells alcohol on him or if he agrees to take a breath test and blows a number indicative of alcohol consumption. Mere possession of alcohol is not sufficient to warrant him being charged with Minor in Consumption. An affirmative defense does exist if he consumed the alcohol in the visible presence of his adult parent, guardian or spouse. Just as it is illegal for a minor to purchase alcohol, it is also a crime for a minor to be found in possession of alcohol. Possession of alcohol for this charge can be considered in various ways. If he is found holding a beer can/bottle, whether it is empty or full he can be charged with Minor in Possession. He could also be found in possession at a party where this is alcohol present even if he is not physically holding any alcohol. He may be at risk of being charged with Minor in Possession whenever he is at a party, nightclub, or in a vehicle where is alcohol is present. However, if he was is in the visible presence of his adult parent, guardian or spouse he may not be charged with Minor in Possession. Additionally, he may not be charged with Minor in Possession if he was in possession of the alcohol in the course and scope of his legal employment. Minor in Consumption and Minor in Possession are both Class C misdemeanors, the same level as a speeding ticket. These charges along with the other alcohol related offenses of the Purchase of Alcohol by a Minor or the Attempted Purchase of Alcohol by a Minor can result in various ranges of punishment depending on if this was the first time he was charged with an alcohol related offense. Frequently, a court will allow a minor to be placed on deferred disposition which allows the case to be dismissed once certain requirements have been fulfilled. 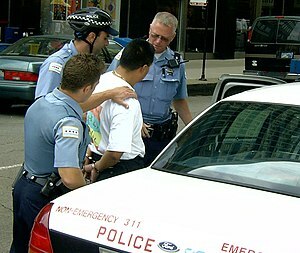 If this was the first time the minor was charged with an alcohol related offense and placed on deferred disposition, the judge may order the minor’s driver’s license to be suspended for 30 days or if he does not yet have his license issue an order to deny the issuance of one for 30 days; up to a $500 fine; 8 to 12 hours of community service; and mandatory attendance of alcohol-awareness classes. If this isn’t his first time being convicted of an alcohol related offense then the judge may order he be fined between $250 and $2,000; 20 to 40 hours of community service, and can be sentenced to up to 180 days in jail. The judge may also suspend the license for 60 days if this is not the first alcohol related offense but 180 days if the minor has been previously convicted twice or more of an alcohol related offense. The judge may further impose the attendance of an alcohol awareness class. Unfortunately, if a minor has been convicted twice or more for an alcohol offense, he is not eligible for deferred disposition and thus not eligible for a dismissal of his case through this method. If the minor is under the age of 18, the court may also require the parents of the minor attend the class as well. If he doesn’t complete the conditions set out by the judge within the allotted time, then his license may be suspended up to six months or denied issuance of a license or permit for six months if he has not yet been issued one. Some people may not consider these types of cases as serious charges since they are only Class C misdemeanors but we think otherwise. We understand that an alcohol related offense on your child’s record could impact their chances of getting into college or even being hired for certain jobs. As criminal defense attorneys who have handled a wide range of cases, and several MIP and MIC charges, we will fight our hardest to achieve the best results possible for your child’s case. Visit us on Facebook and contact us for a free consultation at any of our Texas locations, Georgetown, Austin, San Marcos and McKinney. With the tough economic times, large quantities of people are being forced to seek new employment. Frequently, this entails new employers running background checks to inquire about the potential employee’s criminal history. Federal law permits employers to conduct this search. Fortunately, some people are eligible to have their criminal records sealed or expunged depending on the outcome of the case. If your record is sealed that means that potential employers outside of the government realm will not be able to see that you had a criminal charge against you. In Texas, an expunction completely erases the criminal charge and you can legally under oath say that you were never arrested for an offense. To find out if you are eligible for an expunction or an order of non-disclosure visit our website or join us Facebook and submit a free case consultation form. Posted by Texas Criminal Defense on July 12, 2011 in Is It Legal? What Constitutes Theft in Texas? The Texas Penal Code defines theft as taking someone else’s property without consent, either by deception or by physically stealing it. You don’t have to keep the property for it to be considered theft, but only long enough to deprive the owner of its value. And, if you take something, then return it for a reward, that is also theft under Texas law. actually have or had possession of the property. They can do by that using physical evidence, such as security camera video in a shoplifting case, or by statements from a witness, an accomplice, or you. expensive shirt with the tag on a less expensive one and paying the lower price at checkout. within 10 days of notification, then that is evidence of theft under the law. General theft – Taking an item that belongs to someone else by any means when you do not have permission. Examples of this include taking a woman’s purse from her shopping cart when her back is turned, stealing copper from a construction site, or taking $20 from the cash register at work. Buying/accepting stolen property – Taking possession of an item when you know the person selling or giving it to you is not the rightful owner. If you know a friend shoplifted an item from a store, then passed the item on to you, you have committed theft by taking it, whether you paid for it or it was a gift. becomes a state jail felony if you have two previous theft convictions. Also, the theft of some items such as firearms or metals such as copper or aluminum are felonies no matter the actual value. to steal items for profit. However, in all likelihood, if you are charged with simple theft by shoplifting and are convicted or enter a plea, you probably will receive only community service and fines, as long as the value is low and it’s a first or second offense. However, you are still stuck with a permanent criminal record which may never go away. headaches in the future. It could prevent you from getting a job, a scholarship, or worse. The criminal shoplifting record for a conviction might not be the end of it, either. A conviction for the criminal charge of theft frequently includes restitution to the victim, but Texas also has the Texas Theft Liability Act. This civil law allows the victims of theft to sue for damages and is separate from the criminal case. The suits are typically used in shoplifting cases. The store will send you a letter demanding that you pay the value of the stolen item, as well as costs related to recovery. The law allows the victim to collect actual damages, plus up to $1,000 against an individual or actual damages, plus up to $5,000 against the parents or guardians if the accused shoplifter is a minor. You should not try to face either the criminal charge of theft or a civil suit in a shoplifting case without consulting a Texas criminal defense lawyer who knows how to defend shoplifting/theft offenses. We can fight the case against you by challenging the reliability of eyewitness or accomplice testimony, and by questioning the legality of any searches by police or admissions you may have made to them. 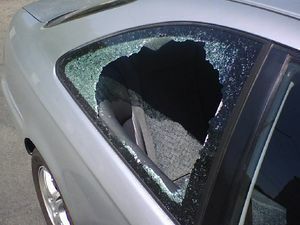 In Texas, theft charges can run the gamut from a class C misdemeanor to a serious felony, based on the value of what was allegedly taken, whether force was used and whether the property was entered. It is possible to face the legal equivalent of a traffic ticket or a charge that can lead to a life prison term. The Texas theft statute is very broad. The theft statute covers many types of criminal conduct involving the misuse of another’s property. All of these crimes however, have one thing in common – that is, the taking of the property without the owner’s consent. Examples of crimes that are covered by the Texas theft statute include shoplifting, writing bad checks or hot checks, receiving stolen property, possessing stolen property and auto theft. Even a minor theft conviction can have a devastating impact on your future. Do not make the mistake of believing that a misdemeanor theft charge is not a serious situation. Theft cases are crimes of moral turpitude. That is, they are crimes that reflect on one’s character. Shoplifting and the other theft charges, because they are crimes of moral turpitude, can have lifelong and far reaching consequenses. Any misdemeanor or felony conviction for a theft charge will result in a permanent criminal record, even if you receive probation. Since employers routinely conduct background checks, a theft conviction will make it much harder for you to find a good job. Theft cases can become more serious crimes with the danger of harsher sentences depending on the facts and circumstances under which the alleged theft occurred. 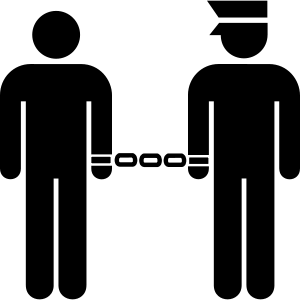 If you are accused of entering someone’s property with the intention of committing theft, you can be charged with burglary, a felony punishable by up to 20 years in prison. Theft can also become a felony if it is alleged that force was used to take an item or money. Theft committed with a weapon is aggravated robbery, a felony that can result in a lifetime prison sentence.